Where else can you find the winner of the 1952 Nobel Peace Prize locked in battle with a 14th century mystic? We’re guessing nowhere. Like, literally nowhere ever. In the history of ever. But here at Lent Madness, today finds Albert Schweitzer pitted against Julian of Norwich with a trip to the Faithful Four hanging in the balance. Albert made it this far by defeating Lawrence and Methodius while Julian bested William Wilberforce and Roch. Again, if you’re looking for information from the previous rounds, click the Bracket tab and scroll down. Yesterday Sojourner Truth advanced to the Faithful Four by getting past Absalom Jones 64% to 34%. She’ll face the winner of Columba vs. Dietrich Bonhoeffer. But the big news involved the Lent Madness 2016 feel good story of the year as Oliver won the Mug Shot contest. You can read all about it here and check out Tim and Scott’s favorite images of the many that were submitted. When one enters the hallowed Saintly Kitsch Round for the first time it is an overwhelming experience. The rich history of this time honored tradition is not to be trifled with. How does one do justice to the saint and their tchotchkes? One can begin with the low hanging fruit. 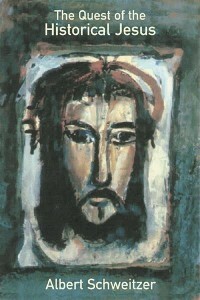 Like the saint’s book that shaped historical Jesus scholarship for a century. Sure the title is boring but the cover of the second edition is kinda nifty. 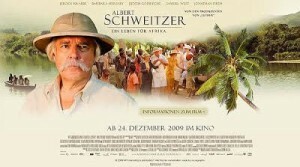 There is also the solidly B movie that tells his story – Albert Schwietzer: Ein Leben für Afrika. Because, you know, Africa is a country. But after this low hanging fruit things get tricky. First stop, Ebay. 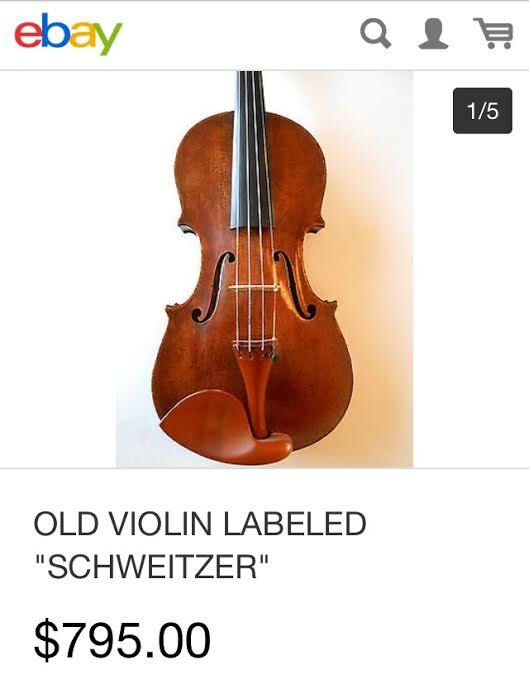 After a quick search of “Schweitzer” one finds this lovely “Old Violin Labeled Schweitzer.” Schweitzer loved music. This works. Actually, it doesn’t. Nothing on Ebay works. 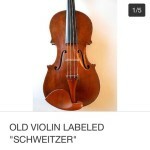 Ebay is the worst. Time to fire up the Googles. “Schweitzer kitsch.” No dice. “Schweitzer shwag.” Nein. Apparently one must direct their searches a bit. “Schweitzer mug.” BINGO! 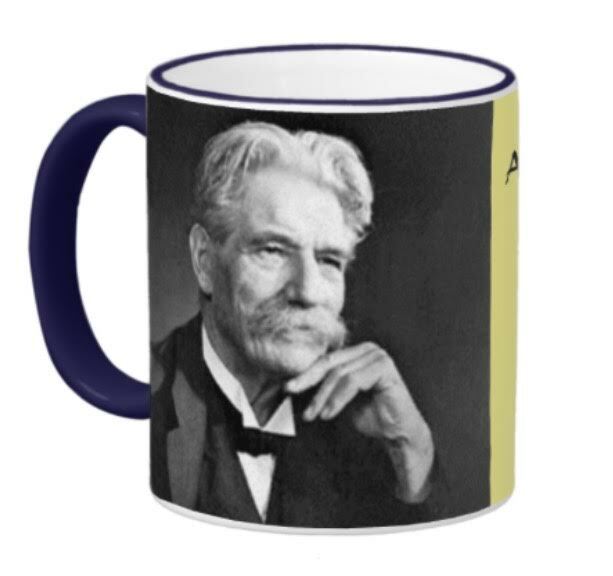 Sip your favorite morning bevvy with Albert’s mug on your mug! I’m not gonna lie, though. I’m not sure how I feel about my lips being so close to that burly ‘stache. Seriously, it scares me. Who knows what lives in there. While blindly Googling for Schweitzer mugs and t-shirts I kept running across mugs and shirts with cats on them. And I began to wonder, is Schweitzer German for cat or something? 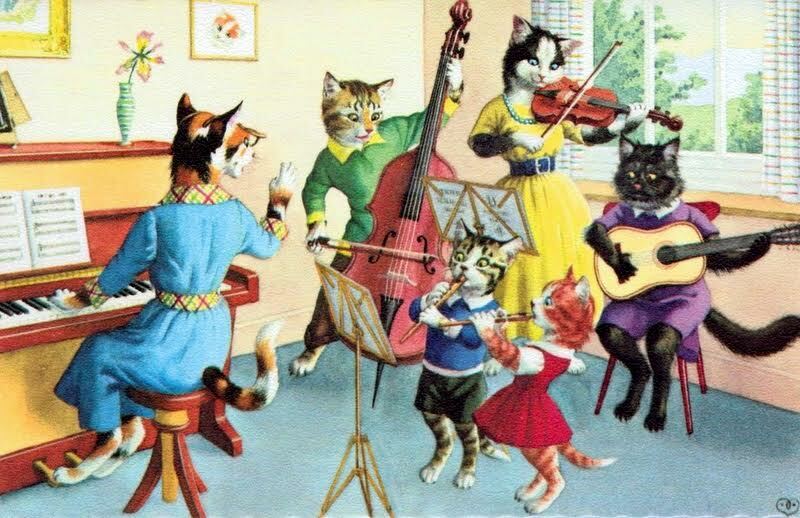 It turns out one of his more famous quotes reads, “There are two means of refuge from the miseries of life: m usic and cats.” So here you go, those who need refuge from the miseries of life (I’m looking at you, Roch) – some cats playing music. But that’s not really Schweitzer schwag. But this is! I present without comment (you have no idea how hard this is for me). Save the best for last, or something like that. This came up while Googling “Schweitzer keychain” (is there nothing kitschier that a keychain?). The description of the item was “memorial plaque.” Looks to me like a keychain. I like how Schweitzer takes up ALL of southern Africa and the building takes up the rest. Because, you know, Africa is a country. Also the German flag ribbon really ties it together nicely. It does not ring of colonialism at all. So there you have it. Kitsch worthy of Schweitzer’s mustache. 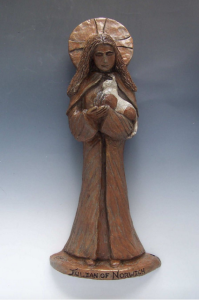 Julian of Norwich is not exactly the queen of kitsch. The austere life of a medieval anchoress doesn’t really lend itself to tchotchkes. 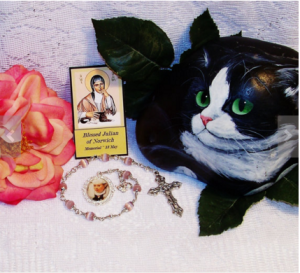 However, there are lovely icons depicting her, as well as many modern paintings that tend to capture her with her cat, as can be seen in this collage of Julian related items on Etsy. In fact, there is some confusion about whether Julian is the patron saint of cats, or simply a devotee. 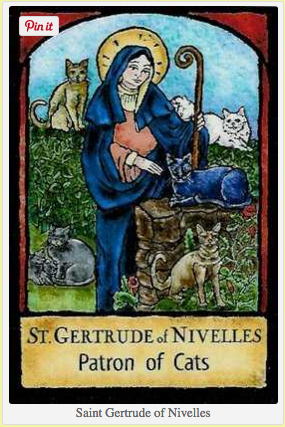 Definitive Internet sources confirm it is in fact St. Gertrude who is the patron saint of cats. More often, Julian is depicted holding a hazelnut, representing her divine vision that the whole of creation is so tiny to God, and yet sustained by God’s love. in this handmade statue of Julian, also found on Etsy. And in this painting from the previous home of the Order of Julian of Noriwich, Julian House Monastery, courtesy of Marguerite, @The_Parishioner , who is affiliated with that order. Ultimately, however, Julian’s legacy is in her words, rather than her image. In 1981 Sydney Carter of “Lord of the Dance” fame wrote the song “Julian of Norwich” (sometimes called “The Bells of Norwich”) based on her words. 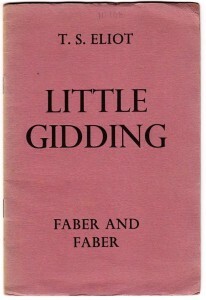 The Poet T. S. Eliot incorporated the saying that “…All shall be well, and all shall be well, and all manner of thing shall be well” into his poem Little Gidding, the fourth of his Four Quartets. 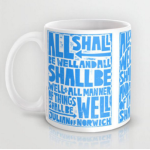 And Internet searches for tasteless art inspired by Julian were ultimately unsatisfying, because instead there are rather a lot of tasteful posters and mugs with her quotes. And I promise, I get no commission from Etsy if you go right there and purchase some inspirational artwork! Indeed, what better than a cup of coffee to help you have faith and hope in Christ’s promise to Julian that all manner of things shall be well? 158 Comments to "Albert Schweitzer vs. Julian of Norwich"
Julian! Because “eschatalogical hope” is the coolest thing imaginable. I voted for Albert Schweitzer because he is awesome and he has an awesome!!!!! mustache. A tad sexist, no? Julian would have had a bombin’ mustache if she could! Maybe she did. Maybe that explains the ‘hiding in the cell’ thing. “Tehee!” quod she, and clapte the wyndow to. “Ful savourly.” There, folks, you have the start of English poetry. You can smell and taste the experience; I imagine the final day must have seemed pretty attractive to Absolon at that moment. I reckon Julian’s contemporaries were careful to go even to an anchorite’s window during the day. The lesson is: be careful what you kiss in the dark, and at whose window. We have now “posted” much of our way to Canterbury, and bawdy jokes are part of the journey. Who knows that she didn’t? Well, I don’t think that was her beard Absolon was kissing! But if it was, she’s in good company. Most of you probably have no idea how many women need to shave, even in our day and time! End of subject! My heart is with Julian, although I thought Albert’s kitsch was great. Who was the blogger for that one? David Creech? He wrote on Schweitzer in the other two contests. True, Schweitzer wins hands down on kitsch. No way does a Sydney Carter song and T.S. Eliot reference qualify as kitsch. But I still have one question: who was Paul McCartney’s uncle Albert? 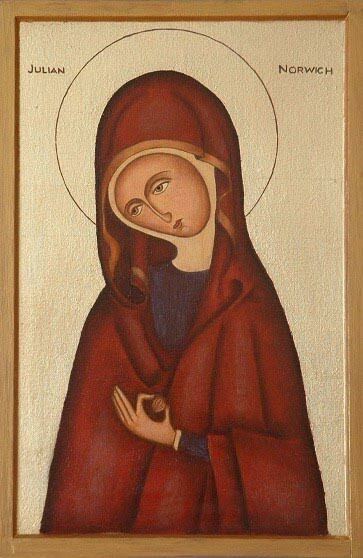 I voted for Julian of Norwich because she saw the world in God’s hand and she said all will be well. Congratulations, Oliver, on winning the Mug Shot contest. Well deserved. Good reasons, Oliver. And happy St. Patrick’s day. Oliver, you are a delight. Congratulations on your well-deserved Mug Shot victory! You are so right, Oliver, about what Julian said. Letting go and giving our lives to God all shall be well no matter what’s going on. God is with us that’s why! That was my reasoning, too, Oliver. Good choice! Oliver, you made me cry! Julian has my vote all the way to the Golden Halo, but you just nailed it! And to those who seem to think she’s somehow whiffy, READ HER BOOK, both long and short texts–it’s rich and deep and totally in touch with human reality, no matter the century. Although I voted for Schweitzer, I wanted to congratulate you on winning the life-size St. Francis. A very well deserved win!!!! I with you today Oliver and congratulations! Congratulations Oliver! I understand your Godly Play teacher is Jennifer! She’s a friend of mine! You have learned about saints from her, and are a good participant in Lent Madness! Right again, as always Oliver. I love your theology and your faith. I wish you could know my grandson. He is also eight years old. I really don’t understand what the fascination with Julian of Norwich is. All will be well, I guess, but I agree get a little tired of her. I think her visionary serenity in the face of end times is appealing to people, particularly in times of social and political turbulence. We know little about many of these earlier figures, but their longevity in the cultural imagination lends them weight and authority for our own minds. Julian’s words live on in T.S. Eliot’s poetry and that carries her into our own era. She didn’t win a Nobel prize, but he did. So she has a solidity and panache that are modern even as her feet are rooted in the Middle Ages. That’s my effort at an explanation. Be well. I am supporting Julian all the way to the Golden Halo. More so today – the wise woman who loves cats is deep in friendship, humor, curiosity, a dollop of pastoral action in a day of devotion. I vote for woman power! Because mysticism, historical Jesus research, reverence for life, and music! Especially because the music of Bach! Yes, Lora, I agree with you completely, and this is the first time I have played this game this year. Albert S. is the best. This is WAY tough. Two awesome cat people, both celebrating the whole of creation. ONe healing the sick and one praying for us all. Both are halo people and i’m waiting until the end of the day and then asking my 2 cat family members to help choose. Though Schweitzer’s, “There are two means of refuge from the miseries of life: music and cats.” is pulling at me. Do i go listen to “Cats” (the musical) now? That would bring Mr. Eliot into the mix of course too. Ok.. not waiting. Sitting with cats reading emails and messages from Doctors Without Borders pops in… it’s a sign (that and i like the idea of not bothering the ants and i think Julian would have too, what with the hazel nut and all) … Albert it is! Listening to “Cats”–haha! Touché, Vicki! Catastrophe! What devious minds pit cat lovers against themselves?! The ‘Stache is the clincher, as our cats bond with our whiskers; gotta be Schweitzer ! You didn’t like the dude who loved dogs, but you like the chick who loves cats? Julian because “all shall be well”. But I must say that I loved the Albert kitsch. Kudos to his blogger (I assume it was David Creech). A tough one since I am our family’s “crazy cat lady.” Although, we have limited ourselves to two, I almost brought home a third on Sunday after visiting his cat mommy who is dying of cancer and having a hard time taking care of him. I pray both Lady Julian and Albert to intercede for Jackie. I voted again for Julian because I am still trusting for all things to be well. Julian for me today because I am deeply heartsore and need her hazelnut theology. I’ve been a fan of mustard seed theology. I may look into hazelnut theology. 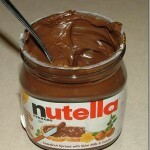 They had me at Nutella. Claudia, may God hold you tenderly and surround you with divine love. You are in my prayers. Julian for me. Her writing has touched my life in a myriad of ways. These words are especially comforting in the current days of political rancor. 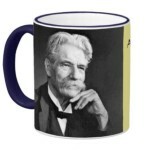 I fell out with Albert Schweitzer over the bugs in the house thing during the last round besides, his kitsch is awful. Julian has surprisingly nice kitsch and I use her “all will be well” prayer quite a bit. It’s Julian for me, even though I have a childhood friend whose dog was named Schweitzer! many thanks to the persevering mind and Wickedly wonderful sense of humor of the writer of these two entries. 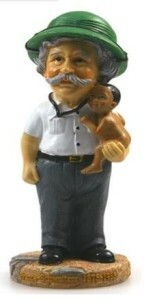 The Schweitzer one was funny, and helped diminish the colonialist nature of much of his kitsch. We confess, and then work for the day when the expressions of our faith, even the kitsch, will be more inclusive, and less, well, less colonial. Maranatha! With respect and love for all, my vote goes to Albert, the trinkets would not please Albert, his legacy is much more important than key chains and other trivia. The song swayed me. “All shall be well again…” I needed that today. But I feel guilty about letting Albert down. and let them sleep in peace. Albert is the king of Kitsch! Love that statuette! But a trio of two harps and a guitar swings me over to Julian of Norwich. Plus my cats, Fluellen and Ray, have insisted I vote for her. Very hard to choose but music and cats got me–Albert gets my vote. Not being a cat lover (allergies) I have broken out in itchy hives over this one. In the end I’ve gone with Julian since I have visited her shrine and have benefited from the kind hospitality of Sr. Pamela of the All Hallows Community, which is situated next door to the shrine. I think the final match up, after serious contemplation of the Lenten Madness brackets, will be Constance vs. Dietrich Bonhoefer, and that Bonhoefer will win the golden halo!!! Haha! This has been soo much fun. Thanks for all your hard work in putting this on. On toHoly Week!! Some of need that All Shall be Well message quite often so in spite of great admiration for Schweitzer, I have to vote for Julian. I let my two Springer Spaniels vote on this one since they LOVE to chase cats. They decided on Albert. The cat band photo just looked like too much fun. Julian for me and a dollop of Nutella! ! It’s the internet, which is filled with photos of cats. Of course the cat lady is going to win. Poor Albert. Call him a prince and put him in a can. For what it’s worth, Julian’s cat probably was there to keep her little room rodent-free, so it was a working cat. I suppose that’s no comfort to Albert. Just trust me, I’m another hazelnut for Julian, and it’s about so much more than cats. I favor those who make sacrifices to help as many as possible. Schweitzer left what could have been a comfortable life of relative luxury to go to Africa and serve the poorest of the poor. Also, I have not recovered from yesterday’s contest…indeed madness as poor Absalom went down in defeat…Yes ! Sojourner won, but…..Well, at least our Oliver-eight years old won. Today’s bloggers must have spiked their morning coffee..fabulous blogging as you ran amok with the kitschy stuff. Julian of Norwich for me today. Julian for me. Albert Schweitzer was mistaken in his view of Jesus, and a paternalistic racist regarding the Africans he lived with. so far my favorite write ups…and kitsch…great job! albert gets my vote because i think Julian was strange. I’m suprised Julian’s celebrity blogger did not run accross the book Julian’s Cat! Had to vote for Julian, she has it all over Albert in the kitsch department! But frankly they are both worthy of their current halos and either would wear the golden one with dignity and grace! And Julian’s Cat Care (veterinarian) in Dearborn, MI!! The reminder of T.S. Elliot’s quote of “…All shall be well, and all shall be well, and all manner of thing shall be well” reaffirmed my vote for Julian. 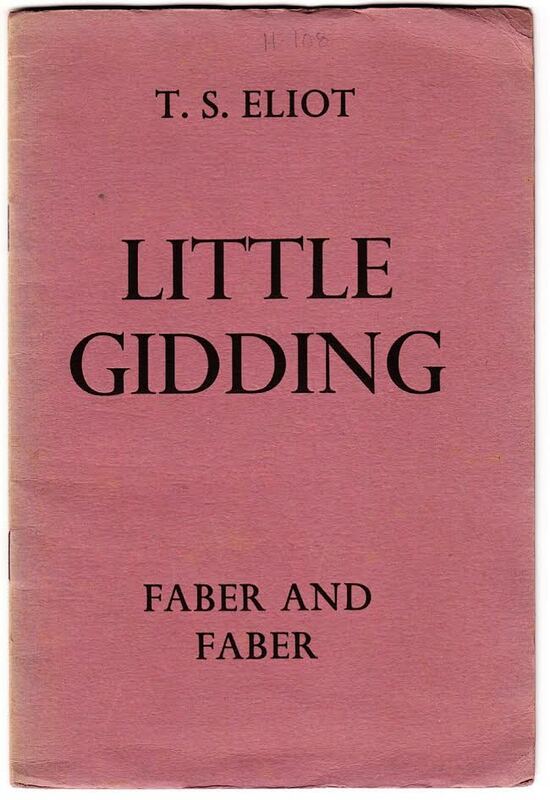 We were members of his home parish, St. Stephen’s Gloucester Road in South Kensington, London for 3 ½ years, and visited Norwich during that time. Julian has been at the top of my bracket for Golden Halo from the beginning. The kitsch for Albert is fabulous, if troubling in it’s colonial tendencies (delightfully drawn to attention by the celebrity blogger), however I must vote for the homegrown saint Julian, a woman speaking down the ages, and because it is good to be reminded that all will be well. Go GERTRUDE! Cats, cats, everywhere cats. Yay cats. Couldn’t get past the mosquitoes and ants of Schweitzer but his refuge in cats went a long way toward his redemption. Not thrilled with Julian but the cat sleeping next to me snores gently and that always makes me feel as though everything will be well. Eventually. The video song did it for me. “And all shall be well again, I know” will be running through my mind all day and I will be glad. Julian for me. Congratulations Oliver for your big win! Agreeing with you Carol. The shiny happy people singing her mantra makes it a no-brainer. Albert’s kitsch is definitely better than Julian’s (see the keychain), but I’m going with Julian based on the write-ups from the past two rounds. No contest for me: Julian it is! Please vote for her, so this summer I can tell Sister Pamela at the Community of All Hallows Guest House [they oversee Lady Julian’s shrine in Norwich] that we Yanks love Julian. They have lots of cool Julian “stuff” at the Julian Centre Gift Shop. Both bloggers had me laughing out loud today … love when that happens during Lent Madness and my office mate asks me what I am laughing about. I had to go with Julian however. Schweitzer’s mustache worries me, and we need a little more “All shall be well” in the world today. I just may have to visit Etsy. Schweitzer for the a Golden Halo, from the beginning–though ‘all comfort with music and cats’ vs. ‘All manner of thing will be well’ is a tough one. Thanks to both bloggers for both inspiration and smiles, today. Irish harp music on St Patrick’s Day? Sure and that turned the tide to the lovely lady of Norwich. Indeed, all shall be well. Our genius musical director, Kurt Knect, has written choral pieces that use Julian’s words; our congregation also purchased a painting of Julian by a local artist. Plus I often wear a Julian medal. So…I’m voting for Julian, and then shopping for that mug. In my “vast” experience with Lent Madness (this is my second year of playing), I think this year’s Saintly Kitsch Round is simply splendid. Every post I read I find myself thinking, “Where did they ever manage to dig THAT up?” What a lovely humorous interlude between the seriousness of the first two rounds and the agony of choosing among the Faithful Four and then that final, crucial vote. Applause all around! My inner crazy cat lady votes for Julian! Toughest vote yet for me. Schweitzer was my childhood hero but I went with Julian. All shall be well! Say, I was just doing a little historical research. Absalom Jones was in the Lent Madness brackets of 2010 (the very first one) and 2013. Columba was present in 2010 and 2012. There were also Joseph (2010), Barnabas (2011), Clare (2011 — she made it to the Faithful Four, only to be defeated by C.S. Lewis who went on for the Golden Halo that year), and Monnica (2012). And three other former Faithful Fours: Julian (2010) who was beaten by St. Francis of Assisi (who did NOT win the Golden Halo that year); Constance (2011), beaten by Thomas Becket; and Dietrich Bonhoeffer (2012) who went down to Emma of Hawaii (who’s that?!?). Last year’s winner of the Silver Halo, Brigid, had her first outing in 2012. I thought that was interesting, so I thought I would pass it on. Incidentally, I got all this information from the Wall of Fame tab. Thanks, SEC. Somewhat surprised by my vote for Julian, which I slept on before casting. As Milton put it, “God is also in sleep.” What we really need these days is “eschatological hope.” Leaving it at that today. Outstanding kitsch, y’all! I am so torn! I should vote for Schweitzer–for that great display of goodies, and because I had him in the semifinals with Sojourner. But I can see that my bracket is terminally busted already, and for Nutella, which I adore, and for “All shall be well,” which is the mantra in our family, I will vote against my own bracket . . . for Julian. Could you demonstrate a teutonic shrug? Julian isolated herself from the world and had visions of great poetic and mystical nature. Albert Schweitzer went out into the world and did the work of Jesus, healing the sick, taking care of the poor, and campaigning for peace. As much as I love the isolated mystic, I think we need more people who act on their faith. I vote for Schweitzer with the hope that all shall be well. Julian for me today, a devoted life. Albert’s keychain swayed me today, but it was a close thing. Had to go back and read the previous entries to decide because “all shall be well” tugged at my heart, esp. the song. But Albert….wow… out in the world with music, writing, healing, protesting, being interned, on and on and on. No longer a contest for me. A true saint. I’ve been troubled all along by what I remember (I was 11 in 1953) of the controversy that arose over Schweitzer’s practices at Lambaréné. What especially sticks is the memory that he was regarded as tyrannical. Rather than spread the pretty well-documented allegations across this page, I refer interested readers to the “Criticism of Schweitzer” section of his Wilipedia biography. My vote for Julian isn’t for negative reasons, though. 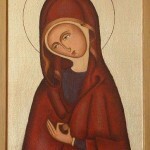 I’ve been a fan of hers ever since I first encountered her, about ten years after the Schweitzer controversy She saw through to the heart of the relationship between God and creation and found words to describe it to us to whom it would otherwise remain opaque, so that we might share her faith though we lack her vision. Julian for me for so many reasons…to numerous to list!!!! I am curious (like Julian’s cat) — do the Celebrity Bloggers actually purchase that kitsch, or merely do screen shots to share with us Lentmaniacs? And if they do have to buy it to feature it in the Elate Eight round, what on earth do they do with it all? There is a lot more to Julian than the quotes we’re most familiar with. Her theology has had a major affect on my walk with God and I support her whole-heartedly. I’m so glad the song was posted, as it is one of my favorites. “All shall be well again, I know.” Great comfort, especially during this anxious time. 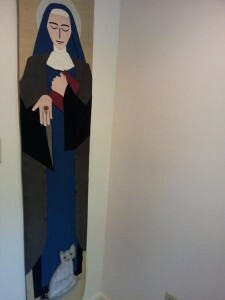 It seems we have a heavy cat theme with these two, but St. Gertrude is the patron saint. Maybe next year St. Gertrude can be in Lent Madness. I vote for Dr. Schweitzer because of his actions versus contemplation. At this point in our American political life, I need to know that “all will be well”. Julian for me. As much as I love and am inspired by Julian’s words … I am more inspired by Albert’s doing. … even though any spider that crosses my threshold is a dead spider. Ditto for any other creepy crawlies. Then again … the man didn’t always practice what he preached either … re vegetarianism. Please rethink your position on spiders — they are our friends! Not to mention that they eat the other creepy crawlies, further easing your burden if you can bring yourself to let them in. Maybe start with just one or two and see how you get along. Julian of Norwich and her Lenten Devotionals are the tops. Her kitsch is well…well…what can one say? I do have a very small icon of Julian at my prayer desk. She has a cat. I forget how I muckled onto that icon or I would share the info. It’s very nice, though. I wonder what the name of her kitty was? Hazel? Nut? A tough decision today. The words of Julian and Albert are powerful. Albert forayed into this messy world of ours. Julian did not. Yet both remain with us to this day. I share a January 14 birthdate and Lutheranism with Albert. Yet my vote goes to Julian because her eschatological words have touched my soul. I had that cats playing music postcard as a child! Voted for Julian. I like cats and hazelnuts. it was the nutrella that did it for me! Had to vote for Lady Julian….family connections of Norwich could not be ignored! “All will be well…” is a meditation I have used so many times when things seemed hopeless. However, my compliments to blogger David Creech who wrote such a great argument for Albert!! Hoo boy! Two of my favorites, so I knew it would be hard. At first I thought, Okay, Schweitzer because cats. Ooops. Julian because cats AND hazelnuts – since I live in Oregon and it’s our State Nut (we’ve had others, but the filbert is forever!). But mostly Julian because Mystic. And all manner of thing shall be well. Oliver you helped me decide. The kitsch is even up as I love cats. I am like Oliver “All shall be well” won it for and the world is the size of a nut to God. Hope all is well with all of you. Shout out to David Creech for his excellent writing for Schweitzer today. “Doesn’t ring of colonialism…at all.” <—-best quote of the whole contest. Despite the extraordinary kitsch for Schweitzer, and the fabulous writing of David Creech (thank you sir! ), my vote is for Julian. She was so much more than the famous quote. After writing her ‘Revelations’ as an experiential diary, she then rewrote it over twenty years as a theological treatise while serving as an anchoress. Not completely isolated, she was available to those who came to her window for advice and prayer. Her experience with the Lord has changed many lives over the centuries, including mine. Did Julian’s statue in Norwich already get a shout-out? Because it’s pretty awesome kitsch in and of itself. I went with Dame Julian today, but it was a tough choice. Both saints like cats! How can I make an arbitrary decision, then? After careful consideration, I choose Schweitzer today. There simply is no comparison to the service that Dr. Albert Schweitzer gave to his fellow human beings! Physician who served the poor people of Africa who suffer from the some of the deadliest diseases known to man — even at risk to his own life. Also a superb church musician, organist, and theologian. Albert Schweitzer was the epitome of Christ’s call to minister to others. There is simply no comparison, and that has a lot to do with why he won the Nobel Peace Prize in 1952! Schweitzer isn’t German for cat. Schroedinger is. “Like.” But did you mean a live cat or a dead cat? Schweitzer, because of his conclusion at the end of “The Quest for the Historical Jesus”: He comes to us as One unknown, without a name, as of old, by the lake side, He came to those men who knew Him not. He speaks to us the same word: “Follow thou me!” and sets us to the tasks which He has to fulfil for our time. He commands. And to those who obey Him, whether they be wise or simple, He will reveal Himself in the toils, the conflicts, the sufferings which they shall pass through in His fellowship, and, as an ineffable mystery, they shall learn in their own experience Who He is. So unfair to have to choose between two people to whom I feel connected: Schweitzer because he once made a special trip to Boston just to play the organ at my church, Julian because she is my namesake. I opted for Julian, but could have gone either way. So difficult to choose one over the other, but then you associated Julian with Nutella and hazelnuts and the choice was clear. And all is well. Kitsch round is so strange and upside down that I find myself voting for brilliant blogs over shining saints. I love Julian and hope she wins, but David you’ve turned my head. Voted for Albert today. Kitsch so bad it’s good. The keychain “memorial plaque” almost swayed me to Schweitzer. But Julian still holds my heart, so she gets my vote. As a number of people have noted, these votes get increasingly difficult the more closely matched the contestants are. Yesterday was so hard I didn’t even vote. Today I’ll have to stick with Big Al for music (Bach and organ) and philosophy, but I could just as easily have picked Julian again. Silliness is out of hand with these Saint write-ups. Silliness is always out of hand. And silliness is a very good thing. Silliness is always out of hand; that’s why it’s silly. I had to go with Julian because the YouTube of “Bells of Norwich” was recorded in the church I used to attend. Glad you won the St Francis Oliver, a triumph all round. This is the most FANTASTIC gathering of kitsch that I’ve ever seen! Bravo to both CBs for their excellent research! But Julian all the way for the Golden Halo for me — she’s given me hope and comfort for years. Blessed Lent to all! There is absolutely no beating Albert’s kitsch. The figurine! The keychain! I’d cast my vote for him if I were basing my decision on that. But instead I’m going with Julian for her contribution which has stood the test of time. This is a bit of kitch memory. I first learned of Albert Sweitzer when I was about four. He was regularly referenced in the old style cartoons. Someone would be in Afrika and run into him. “Dr Sweitzer I presume?” I’ll vote for the one whose kitch introduced me to them over 60 years ago. I love both Albert Schweitzer and Lady Julian. I even have a T-shirt with his quote about music and cats on it! But I remember the story of the director who said to the overactive actress, “Don’t just DO something! Stand there!” Lady Julian STOOD there for all who sought her prayers, her advice, her healing, her comfort, the love of Christ she spread all around. She has been a stalwart example and spiritual friend to me, especially when all was NOT well with the patients and their families in the hospital I served as a chaplain. And now, when I’ve had one complication after another following foot surgery in January, I desperately need to hear that “all shall be well” even though I’m not on my feet yet. And once I am, I look to the comfort and joy to be brought to our household by a pair of adorable kittens! Oh poor thing, you! I had foot surgery last January. Foot surgery is a hard one. So I will say, for your exhortation, “All will be well, and all will be well…” I’m walking up to 4 miles a day and I couldnt walk through a mall before the surgery. Had to go with Team Julian- I’m not about to explain to our 7 cats why we chose to go with Albert! I always vote before looking at the results/comments, so I was pleasantly surprised to see Julian leading! It seems that people have been favoring more modern and action oriented saints, so it’s great to see a contemplative being valued. However, I did love David Creech’s write-up about Albert Schweitzer. I only hope everyone else got it. After all, Africa is a country, right? 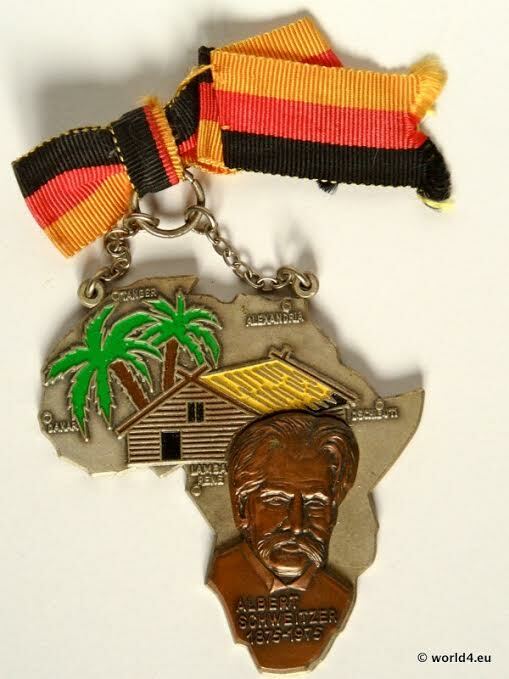 Take another look at the Albert Schweitzer “key chain.” I believe you will find that it was originated as a prize for completing a 10 or 12 kilometer volksmarch (peoples walk) in Germany. 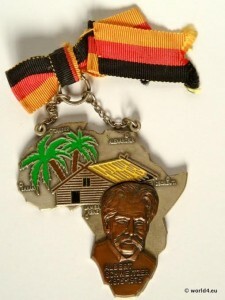 Each year, the walking club would design a new medal for their walk. Those who complete a 20 kilometer walk would get a silver one. And if they had a 30K walk too, it would be in Gold. If there was a Marathon (42.195K) walk too, then it would probably have a patch as the prize for completion. If you are interested in walking, look up the American Volksmarching Association on line. There are walks all over the U.S.A. and in many other countries. I didn’t realize how much I was rooting for Julian until AFTER I voted and saw Julian was ahead in the polls. 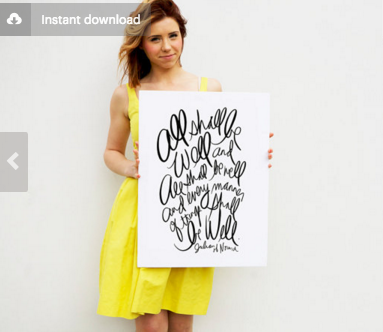 And how do I find that tasteful poster with her quotation? Difficult choice. Voted for Julian. Her famous quote “all manner of things shall be well” sealed the deal for me. When she knocked my pre-competition favourite, the boy from Yorkshire, out of the tournament in the first round, she became my choice for the Golden Halo. Re the Schweitzer kitsch, the thingy with the German flag is über inaccurate. As an Alsatian, Schweitzer’s birthplace changed hands between France and Germany a number of times, but (as I remember from his biography) he regarded himself as French. Nice writing, David Creech, and thank you! You made me laugh. Sorry, but my very shallow reason for not voting for Julian is that I don’t like hazelnuts. For those of us who are basically nervous wrecks, Julian’s words are comforting, especially since they grew out of a vision. We have her words all over the house, along with four cats. Dame Julian it is. Had to vote for Juliian. We have three cats in the house and we feed two feral kitties outside. Thanks for the kind comments! I’m glad you enjoyed reading. I had fun writing! Julian for the Halo! Albert beat out both of my favorites from this corner of the bracket. 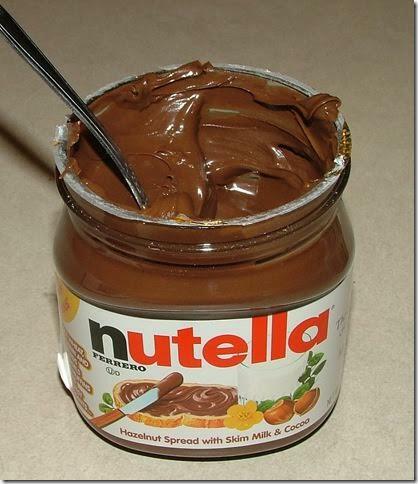 Also Nutella is great. Going for Julian! I voted for Julian of Norwich. Coffee, Nutella, and “The Bells of Norwich.” I enjoyed the write-up on Albert Schweitzer, and will listen to some violin/fiddle music in honor of him. I’m sure this day went a lot smoother without St. COLUMBA IN THE RUNNING. I’m thinking he would have trounced poor Julian! Oh well, there had to be some forethought given in the original match ups to come to this great day with nary an Irishman up. Oh and forgive my recall of those cartoons I cited. That was, “Dr. Livingston, I presume?” But as my dad was explaining who Livingston was he referenced Albert Schweitzer as another person in Africa and all I remembered was Schweizer. Se la vie, memories of children are subject to mix-ups. Albert, because, although I very much do like cats and rabbits and turtles and birds and gold fish and ducks and everything else–except snakes– in the zoo, I (we) have three rescue dogs at the moment. Sorry, Julian to be so shallow…BTW: our last cat was named “Fluffy.” She went to Cat Heaven some years ago. Additionally, like Albert, I was an organist in my long ago younger days. Barely got in my vote before the midnight hour…I hope! 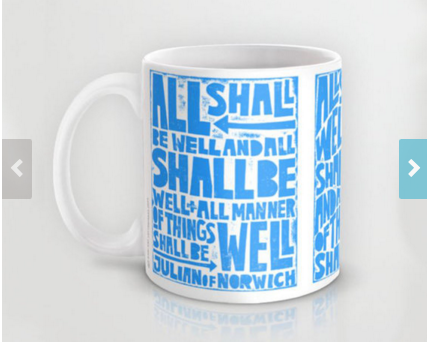 i hope Julian wins the golden halo, because i’d love a mug with All shall be well” on it. 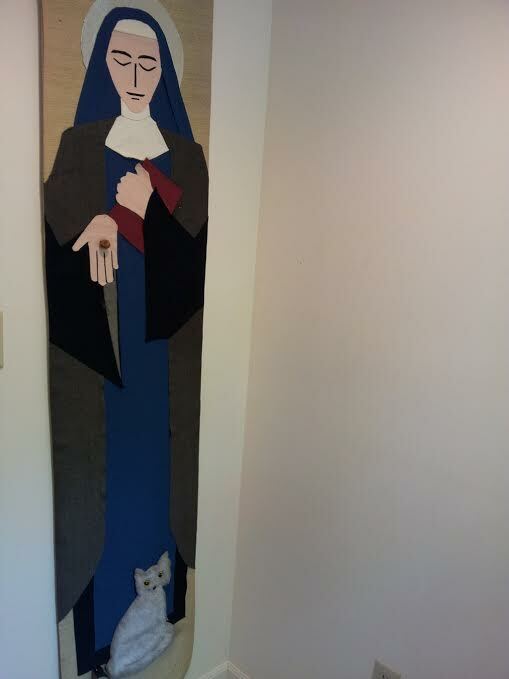 As a cat lover, I am glad both today’s saint appreciated them, too. So calming! Woops, the cat’s name was “Patches”. She still went to Heaven. Forgot to add this to kitch ideas for Julian. At Basbleu.com there are two pieces of sterling silver jewelry with the All shall be well quote: a Mobius pendant on a chain and a bangle bracelet. Signals.com may have both, too. The first vote of 2016 Lent Madness I missed – I got distracted by the marvelous mug shots and Oliver’s happy win and neglected to go on to voting. I’m very glad to have gone back and read the posts, however. The link to the Bells of Norwich song made my day. I’ve never heard it before and that is a particularly lovely rendition of it. I’m bookmarking it for daily bouts with news broadcasts – it will restore my spirit. « Mug Shot Winner Announced!